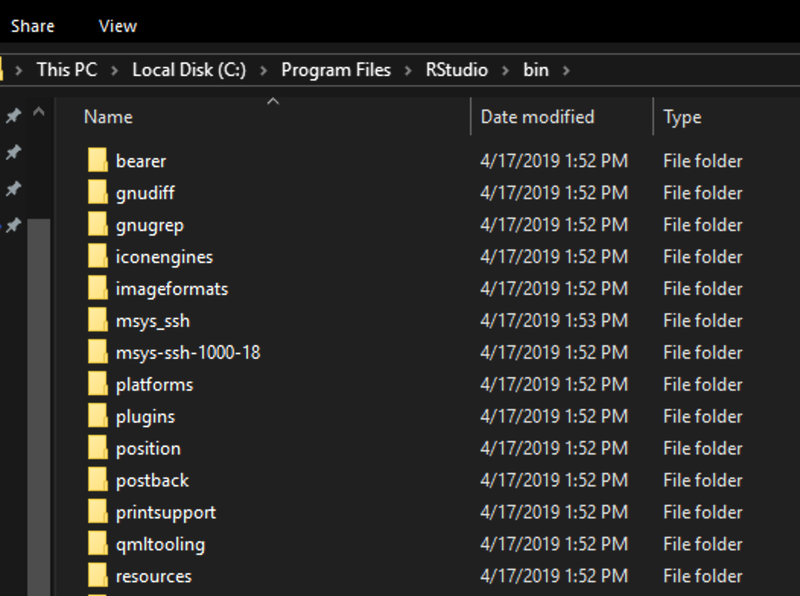 RStudio v. 1.2.1502-1 does not install the pandoc binary folder. This occurred on both Win7 x64 and on Win10 x64 (in a Parallels VM). Manually creating the pandoc directory and copying the required file fixes the problem. Thanks for the bug report! I can confirm that the Pandoc binaries are indeed missing from the preview release -- this is an oversight and we'll correct this soon. Thanks for testing!